No. 200. Gat ye me, O, gat ye me. Tune : Jack Latin. 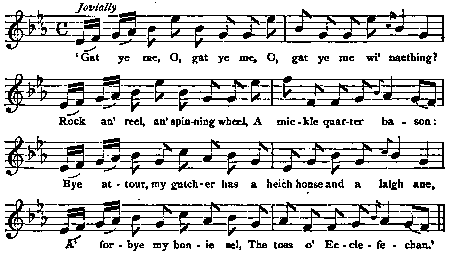 Scots Musical Museum, 1796, No. 430.